Ivory Hospital is established as one of the most renowned healthcare provider, world class medical services to all strata of society at affordable prices. 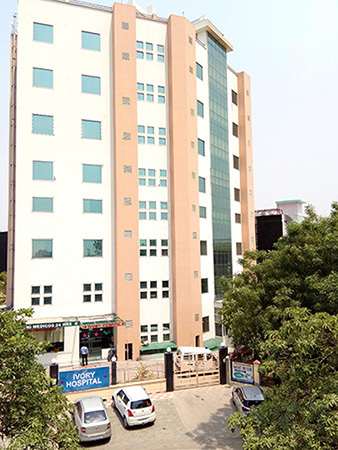 Ivory Hospital was established in Greater Noida , Uttar Pradesh. Which is located 20 km far from Delhi/NCR(15 to 20 minutes drive), 185 km far from Agra(One and Half hour drive from Agra) by ivory management. At present Dr. Minu Agarwal, Sr. Gynaecologist, is incharge of this hospital. The hospital has established itself as one of the most renowned health care service provider. Towards this end the hospital has now refurbished itself. It now has state of the art facilities like, MODERN LABORATORY WITH LATEST MACHINES, OT(GENERAL AND LAPAROSCOPIC), ICU, NICU, HEMODIALYSIS, 24 HOURS PHARMACY, DIGITAL X-RAY,24 HOURS EMERGENCY/ POWER BACK-UP, FURNISHED PRIVATE/SEMI PRIVATE/DELUXE ROOMS for patients and attendants. The 100 bedded hospital boasts of some of the best consultants in Delhi & NCR along with trained and experienced paramedical staff who provide a world class experience to patients. Ivory hospital has the vision of providing integrated care with compassion at an affordable cost. It is also providing pleasant comfortable stay to its patients and visitors throughout the treatment delivery cycle. The hospital building is very modern and aesthetically pleasing. It is an imposing structure, the interiors of the hospital are very well ventilated with abundant natural light wherever needed.